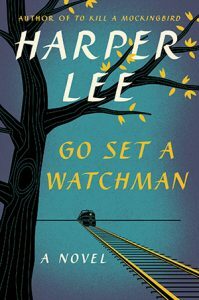 I admit it last year when I heard about Harper Lee’s Go Set a Watchman I was very curious as to what it would be about. Would it be a prequel to the famous book or a sequel looking forward after the events of To Kill a Mockingbird? Since no mediate information was made available I let it go. Then this year on July 13th, I watched PBS’s American Master’s which did a profile on Harper Lee. The first chapter begins with Scout now 26 years of age going by her birth name Jean Louise. She is taking a train from New York, where she now lives and practices as a lawyer, back to Maycomb to visit her father Atticus. She is met at the station by Henry Clifton who she is also romantically involved with. However, they only see each other when Jean Louise visits Maycomb. 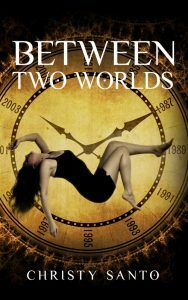 They catch up with each other and Jean Louise also inquires about her father Atticus and his health. The chapter also reveals Henry survived the Second World War and returned to Maycomb. Jean Louise’s brother and Henry friend Jem stayed in town and was going to become a lawyer like Atticus when suddenly he died. The chapter goes on a bit more focusing on Jean Louise and Henry then it ends. I read To Kill a Mocking Bird and watched the film more than once. I love them both for how very moving they are. And for revealing a lot of “gray in this world” despite our attempts to split it into concrete absolutes when it comes to fiery issues like race. I also like how Atticus is able to look beyond a person’s skin color to see them for who they are as a person. His character also raised his children Scout and Jem to try to think similarly toward others. I do not know the reasons why Go Set a Watchman had to be published nor will I speculate. I only know for myself I can’t make sense of why Atticus is so drastically different in Go Set a Watchman compared to To Kill a Mockingbird. In the new book he is revealed to be very bitter and prejudicial toward others who aren’t like him – white. I can’t come up with a reasonable explanation and from the reviews I read neither can the critics who read the book all the way through. Therefore, I have decided not to read Go Set a Watchman any further.